We need to talk. Our community is full of amazing, talented, and interesting people. If we never get to know each other, we see only difference, which produces fear. But when we talk with each other, we get to experience surprise, knowledge, and community. 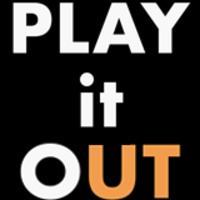 PLAY it OUT: Our Experiences, Our Community, intends to help us engage in healthy dialogue and celebrate what makes us different. Join us for HOW TO TACKLE, written by Steve Sherman and directed by Ian Paul Messersmith, a production full of comedic scenes inspired by real stories from real Vols, played out by real actors who are real funny. Then stay a bit and talk about your UT. Because Vol means all, y’all!